We finally got our hands on BlitzWolf’s latest new product. 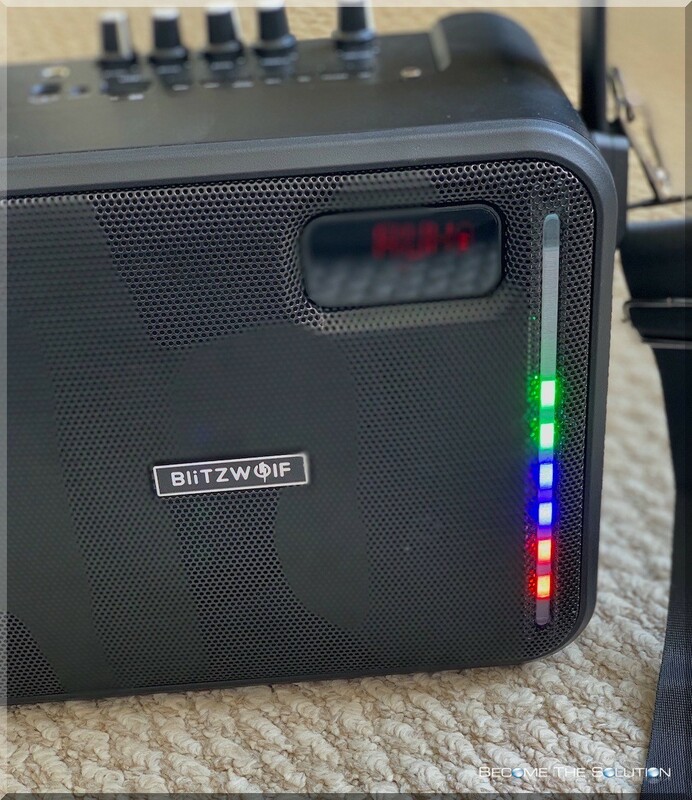 The Blitzwolf wireless Bluetooth Party Karaoke speaker (BW-KS1) is the ultimate audio device for adult entertainment! This karaoke speaker has everything. It offers an FM tuner, acts as a portable Bluetooth speaker to stream audio too, has a USB flash drive for recording audio too or playing audio from, includes a 3.5mm aux port to connect wired audio devices, wireless remote, controlled LED lighting for adding flair, and includes an automatically paired studio-quality Microphone. The Blitzwolf karaoke speaker is an ultra-portable speaker. It is powered by a built-in battery that is charged via a USB connection. The battery lasts up to 5 hours on a full charge. There are no external cables or AC adapters used with this device! The included shoulder strap allows for convenient portability wherever you go. This 20-watt speaker is actually extremely loud on the highest volume setting. Using the included microphone, you can project sound from several 100 feet away and it would sound as if you are standing directly in front of the speaker! 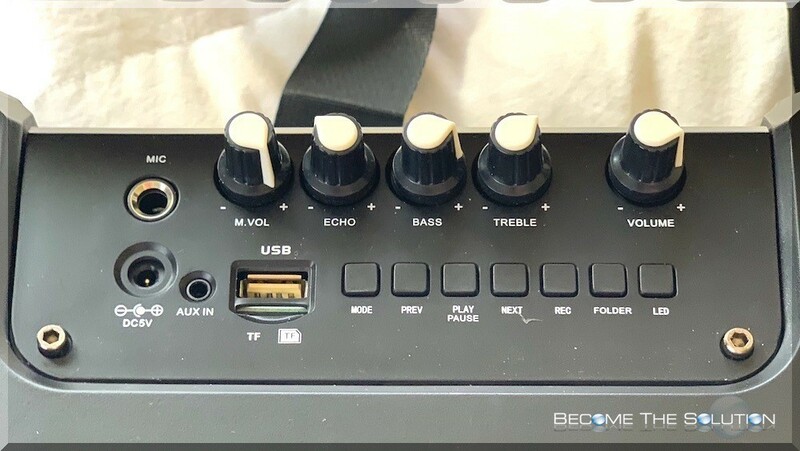 You can adjust the echo knob to make your audio sound more authentic while also adjusting the other equalizer knobs. This karaoke speaker is a must-have device in all households! 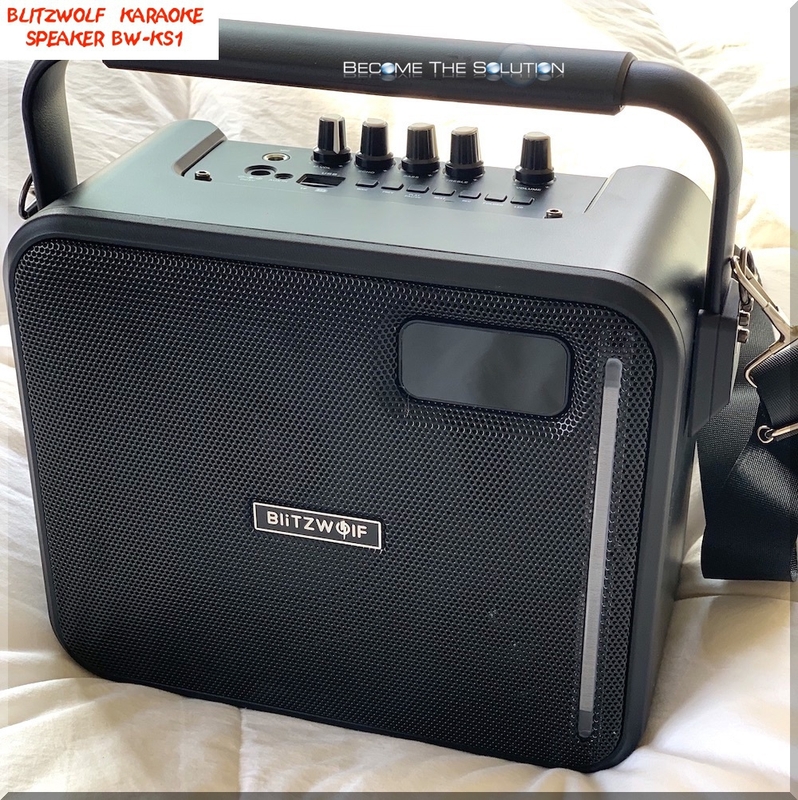 Whether you need an amplified speaker and microphone for an event or portable Bluetooth speaker for outside, the Blitzwolf Party Karaoke speaker suites every need and more.